The San Diego Central Library has been open for a little over a year now, and by all accounts has been a huge success via its design, programs and collaborations. The Central Library has allowed for career-advancement programs, new streams of revenue from booking weddings and has even caught the attention of Comic-Con International: San Diego organizers. All of this would not have been possible within the old dilapidated Central Library on E Street. If you haven’t visited Polite Provisions and Soda & Swine since the restaurant and bar opened a little over a year ago, then you are missing out on one of University Heights’ most successful and uniquely designed establishments. One of the fascinating aspects of the new Health Sciences Biomedical Research Facility II at the University of California, San Diego is that it was designed and constructed to achieve LEED Platinum certification from the U.S. Green Building Council. This is a hefty feat for any building, let alone a 196,000-square-foot research facility. But UCSD is on track to receive this acknowledgement in the next several weeks. The Little Italy Association, in partnership with H.G. Fenton Co., will officially break ground on Piazza Famiglia at 10 a.m. Dec. 1. This new project will transform West Date Street between Columbia Street and India Street into a 10,000-square-foot public piazza to serve the Little Italy community. The Manchester Grand Hyatt San Diego continues to progress with its multimillion dollar renovation as it reinvents the 32nd floor, located within the hotel’s Seaport Tower. If the last time you looked at the four-story building on Upas Street between Fourth and Fifth avenues in Hillcrest was more than a few months ago, stroll over there and take another look. The structure's still there, so what's there to look at, you say? Exactly. 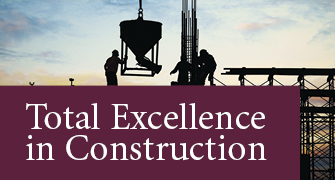 Join members of the Associated Builders and Contractors and guests in honoring top construction projects built by merit shop contractors from 6 to 10 p.m. Friday at the San Diego Central Library’s Shiley Event Center on the Rooftop. On Mother's Day, San Diego unveiled its latest community asset in its new county waterfront park along the Embarcadero. It was an unseasonably damp Halloween this year that gave way to a bright and breezy day across San Diego on Nov. 1. However tricky the evening prior might have proven for the city’s revelers, honored guests at Watkins Landmark Construction’s 10th Anniversary celebration, hosted aboard the Maritime Museum’s Star of India (1863), were served up the sweetest of treats. After a ribbon-cutting ceremony for the completion of most of Phase 1 of the San Ysidro Land Port of Entry project Monday morning, representatives from the General Services Administration were back to work in the afternoon, speaking to local small businesses about how they can get a piece of the roughly $226 million pie that will be Phase 3 of this same project. Homebuilders received a boost of confidence Thursday from national economists who continued to say that the economy is showing signs of improvement.